Ever been looking for a photo on your hard drive, and couldn’t find it? 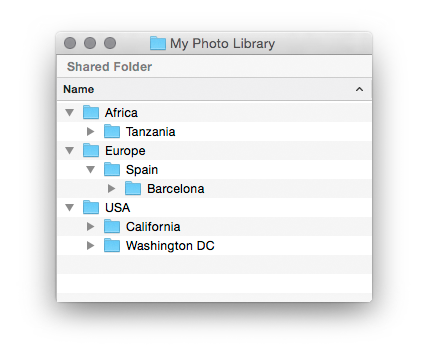 Discovered that you have multiple photos–or folders–with the same name, but in different places? Or tried to copy your photo archives to another hard drive or update your backups, only to struggle with a tangle of folders and files, many with confusing and misleading names? At the start of a new year, now’s a great time for digital photographers to review your image file management strategies and make improvements. Although digital file management may not be a very exciting topic, it’s an essential practice for any active photographer: the ways you organize and manage your photo library is a crucial part of your workflow. An essential element of asset management is the structure and naming of the folders containing your image files. For most photographers, organizing your images by date will be the best method. A chronological filing system has several key advantages over other systems. And, unlike other methods, a chronological system is inherently scalable. Before I show you my recommended way of organizing and naming your image folders, let’s look at a couple of other common examples. This structure presents several problems. First, for example: if you made photos of people at your nephew’s birthday party, would you put those images under the Events folder, or under People? In the future, would you remember which? Another issue arises when it’s time to make backups, or you start running low on disk space. Using a subject-based filing system like the examples above means that the contents of your folders are always changing and the folders are gradually increasing in size. Archiving or migrating these folders then becomes problematic, as they are never ‘complete’. To expand the Dogs folder might mean splitting it over multiple hard drives. Would you name these Dogs-1, Dogs-2, Dogs-3? These are the most confusing kinds of names because they don’t give clear insight as to the contents of the folder. An advantage of this system might be that, when you need to find a photo on your hard drive, you’ll probably be able to easily remember the location where that photo was made. But this system imposes some of the same limitations as the previous subject-based examples. 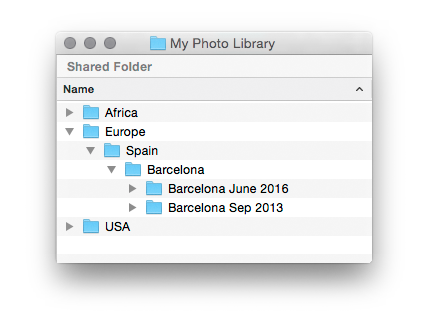 If you take multiple trips to Spain, for example, the contents of the Spain folder will always be changing—as will its parent folder, Europe. Again, this may not present an immediate problem, until you need to migrate files or update your permanent archives. It’s far from efficient. To add multiple batches of photos made on different dates, you’ll need another level of subfolders, e.g. A key practice of good file management is to use as few levels of nested folders as possible. Yet the example above illustrates how you can quickly end up with many additional—and unnecessary—levels of subfolders. Instead, if you can effectively organize your images using just two folder levels, for example, this is far preferable to using three or four levels, because each successive layer of folder nesting further complicates organizing, retrieving and otherwise managing the files. 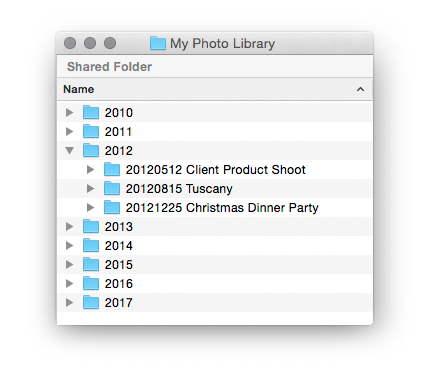 I’ve seen too many situations wherein photographers use a combination of the two methods above: some folders named for subject, others for locations. (Not really a system at all!) What becomes even more challenging with both these approaches is they don’t take dates into account in the upper-level folders—thus there’s no underlying logic or sequencing to the system. Here’s something else to think about: if your folders and files are a disorganized mess now, what might that look like with a few more years of frequent shooting? Clearly you need a system that scales as your library grows. With the above examples in mind, consider some alternatives. 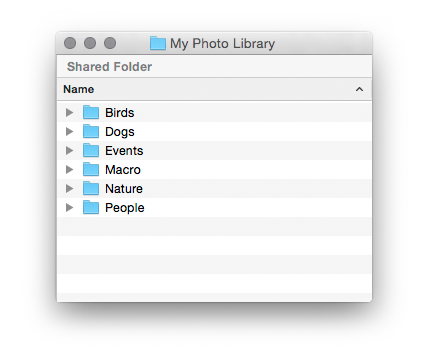 What if you could use just one standard method for organizing all your photos, regardless of whether the images are of dogs in Barcelona or people at your nephew’s birthday party? There is such a way, and it’s so easy: name your folders and organize your images based on the date they were daken. In the example above, I’ve used the full date at the beginning of the subfolder names, in the format YYYYMMDD. This has the advantage of sorting chronologically whenever the default alphanumeric sorting is used. When you have a full year’s worth of shoots, each in their own folder, the list will show you a clear sequence of the events, locations, subjects and dates when you made the photos. Crucially, using the full date in the subfolder name also ensures you won’t have duplicate folder names somewhere else. Also, as the last example shows, you can use this same system when you’re shooting for clients; if you maintain separate libraries of client and personal work, the same system functions equally well—even when your archives are on multiple hard drives. I also use the date in my default file name (but abbreviated to two-digit year, to conserve length). I also add the subject or location, plus a three digit sequence number, e.g. … where 16 is the year, 10 is the month and 28 is the date, which sorts very nicely. This example represents a logical template that can be used for naming any batch of files. It ensures that all files have a unique name and that each name includes the subject or location, along with the date, to allow easy identification. The advantages of using a chronological system for organizing your image files are numerous. First and foremost, it provides a method for organizing all your files in the same way, regardless of the date, location or subject of the photos. Standardization and repeatability are hallmarks of an efficient workflow—you don’t want to be doing things differently all the time; that’s how things get lost and time is wasted. Another advantage of the date-based system is that as each year finishes, you move on and start another parent folder for the next year. This means that, over time, the contents of each parent folder won’t change much. Even as you process your photos and potentially create new derivative files in your workflow, the number of new files being created after a year is ‘closed out’ is relatively low. When you organize your photos by date, it’s also easier to update your backups and make permanent archives. You could sync just one year’s images after an editing session, making a backup much faster. Or you could archive to DVD several years’ images, knowing that the contents of those original folder archives will essentially remain constant in the future. Using the date-based file system saves time and reduces confusion, allowing you more time to concentrate on more of the fun aspects of photography. How you organize your files is an area of photography where personal preference certainly comes into play. Of course, you should use a system that makes sense to you, and that you can live and evolve with. But your file management system must be scalable over time and remain flexible as your image library grows. When you use any system other than organizing by date, be assured that you’ll encounter difficulties, especially as you take more and more photos. Make a plan to implement the new date-based method going forward. At the start of each new year, set up your new annual parent folder and, throughout the year, put images from each photo shoot in their own subfolder underneath. 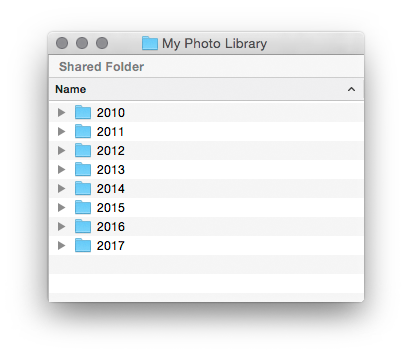 Also—if you also have lots of older photos stored on your hard drive using different organizational systems—start working through them to eventually get them all organized by date; at the very least, into the annual folders. This is a project you can finish over time (and you really should take it slowly and cautiously so nothing gets lost. Using Lightroom can be a huge help with this kind of project and I’ll cover this in another article.) Whichever software you use, strive to get your image library into the the date-based folder systems. You’ll find that using this standardized system frees you from many of the unnecessary headaches related to file management. If you get hung up on this—or any other aspect of the digital photography workflow or creative process—I’m here to help. First-time clients can get an initial consultation and assessment at no cost or obligation. Just drop me a line to start the conversation. B&H is running an amazing deal on WD Passport 500GB portable drives for just $69.95; see it here. B&H is offering a great deal on 2TB Seagate External USB drives. I know I’ll be getting several in preparation for my storage upgrade this spring. “It’s quite possible that your “internal” naming convention might not be suitable for all outside uses; other people might want you to use specific conventions. This is fine. For your original, working or master files, do what makes sense to you. When saving your derivative files for specific usage you can use alternate naming schemes. Lightroom’s File Naming Template make this easy. Also, if you rename files from within Lightroom, LR will keep track of the “original” file names, on the Metadata panel. A couple of days ago, I moved all my photos and Lightroom catalog to new hard drives. It was easier than I had anticipated; let me tell you how it all went. My buddy Monte and I were discussing the ever-present issue of data storage for our digital photography systems; we have both done several significant migrations to larger systems for our digital photo libraries over the past several years. Monte explained that he had some tens of gigs (maybe 30-40GB) of client wedding photos that he wanted to offload from his working system and archive. We got into the discussion of what would be the best approach. After just a few minutes, an obvious answer appeared: flash media. When archiving digital photos long-term, removable USB flash drives (thumb drives, jump drives) represent the current best solution. The primary consideration for choosing a storage medium is how it will stand up against time. Hard disk drives, with moving components and magnetic data, cannot be relied upon for archival. Optical media woul be a great choice, but is still not widely available in large enough capacities to make digital media storage viable using optical media. Enter flash, or solid state, storage. Impervious to all but the most extreme environmental conditions; you can put a flash drive through the washer and dryer and most likely will retain ALL the data. Capacities are increasing rapidly and prices are dropping an average of 40% annually. Today, a 32GB removable USB flash drive costs around $75; a 4GB flash drive is now around $10. And for something that you’re planning to keep for years, the tiny size of these drives is ideal. Like Monte, I’m currently in a situation where I have client projects I want to archive. CD or DVD won’t cut it. Hard drives are not archival. For me, spending up to $75 to archive several thousand dollars worth of client files is a no-brainer. And most client projects will fit on smaller drives, or multiple clients on one drive. My largest client projects are just under 30GB. But I have many client projects that are just 3 or 4 GB. I can safely archive these with long term reliability-in duplicate or even triplicate-very inexpensively. If you have projects that don’t need to be taking up resources on your working photo/imaging/video storage systems, offload them to USB drives. Buy larger capacity drives as they become available. Using USB flash drives, even a busy studio can store many clients’ projects for many years… safely and cheaply, while taking up very little space. 1. Daily – every night I run a script to synchronize my master working library with a mirrored network backup. 2. Weekly – every week my network backup is automatically synchronized to an additional hard drive. 3. Permanent Archives – periodically I burn DVDs for permanent archival (offsite is ideal). Once you have the right hardware and software in place, autmating your backups is easy. I use a Buffalo LinkStation NAS (Network Attached Storage) for my primary backup. I use ChronoSync on the Mac to synchronize my master working library. A second drive is connected to the NAS via USB, and the drive is set up to make updated backups of itself every week.